CHRT, in partnership with six co-sponsors, presents a pair of events examining the value of health information exchanges. View details of the June 29 film screening here. View details of the June 30 panel discussion here. CHRT co-presents a free screening of the documentary, No Matter Where. In the 76-minute documentary, filmmaker Kevin B. Johnson, MD, MS, examines the concept of health information exchange and its importance to effective and safe health care. Following a team of crusaders—doctors, nurses, widows, parents, and spouses—Johnson provides a glimpse into the quest to use technology to connect all of health care. Click here to read the full synopsis. Free and open to the public. RSVP is optional but encouraged. 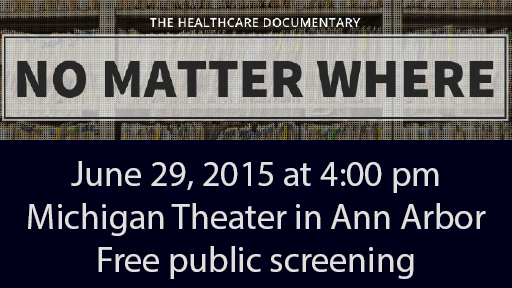 This panel is a follow-up event to the June 29 free public showing of the “No Matter Where” documentary.